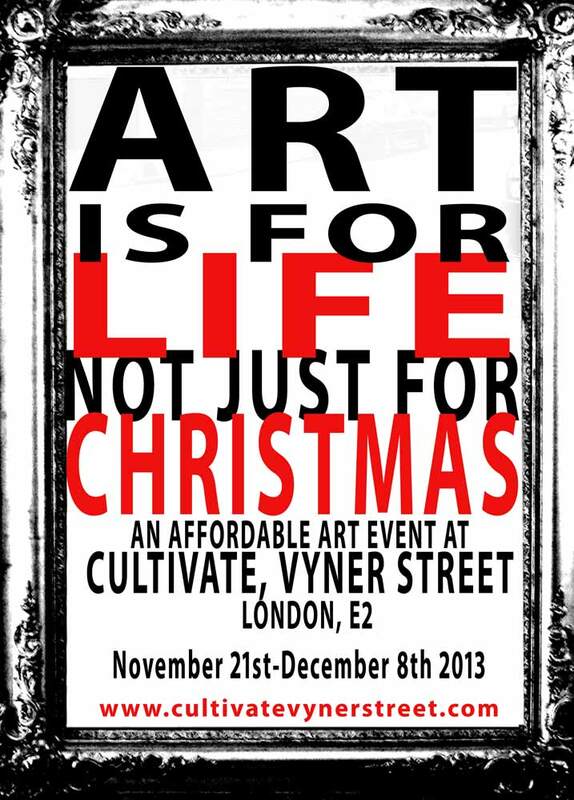 The final show at Cultivate, Vyner Street, will be another affordable art flavoured event, a three week (evolving) show, a pre-Christmas retail opportunity because buying things lovingly created by artists is far better for your soul than thoughtlessly buying mass-manufactured mass-marketing tat. Nothing wrong with buying you frames from Ikea, but your art? What are you really saying to your loved ones when you buy then a piece of mass produced art-tat from Ikea for Christmas? We plan to fill our corner space with a delicious cross-section of exciting art. Contemporary art, street art, pop art, urban art, blue art, red art, black art, photography, prints – affordable art, potential Christmas presents because art is for life. We are looking for London area artists to come join in and show (and hopefully sell work). London area only, unless you can deliver and collect you art (I just don’t have the time or money to be chasing post office packages and such, have you seen the length of those lines as Hackney post office!). The show will be hung on November 20th and open on the evening of the 21st, work will be added throughout the three week life of the show as space appears and pieces (hopefully) sell, so you can join in late. 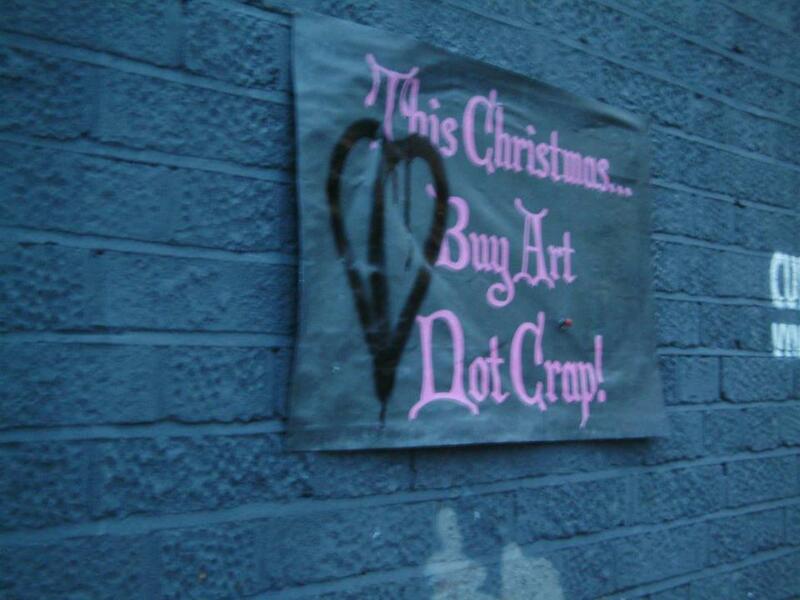 All unsold art must be collected by the 8th December, the show closes and so does the space on December 8th.